The primary reason we’ve been able to do this is an increase in donors to the project. We hope that anyone reading this will consider giving to Thunderbird as well. Donations from individual contributors are our primary source of funding, and we greatly appreciate all our supporters who made this year so successful! We released the latest ESR, Thunderbird 60 – which saw many improvements in security, stability, and the app’s interface. Beyond big upgrades to core Thunderbird, Thunderbird’s calendar saw many improvements as well. For the team this was also a big learning opportunity. We heard from users who upgraded and loved the improvements, and we heard from users who encountered issues with legacy add-ons or other changes that they hurt their workflow. We listened, and will continue to listen. We’re going to build upon what made Thunderbird 60 a success, and work to address the concerns of those users who experienced issues with the update. Hiring more staff (as mentioned above) will go a long way to having the manpower needed to build even better releases going forward. Early in the year, a couple of members of the Thunderbird team visited FOSDEM – from then on we worked hard to ensure our users and contributors that Thunderbird was spreading its wings and flying high again. That work was rewarded when folks came to help us out. The folks at Ura Design worked on us on a few initiatives, including a style guide and user testing. They’ve also joined us in working on a new UX team, which we very much expect to grow with a dedicated UX designer/developer on staff in the new year. If you are interested in contributing or following along, you can join the UX team mailing list here. We heard from many users who were excited at the new energy that’s been injected into Thunderbird. I received many Emails detailing what our userbase loved about Thunderbird 60 and what they’d like to see in future releases. Some even said they’d like to get involved, so we made a page with information on how to do that. We still have some areas to improve on this year, with one of them being onboarding core contributors. Thunderbird is a big, complex project that isn’t easy to jump into. So, as we closed out the year I opened a bug where we can detail what documentation needs to be created or updated for new members of the community – to ensure they can dive into the project. So here we are, in 2019. Looking into the future, this year looks bright for the Thunderbird project. As I pointed out earlier in this post, we start the new year with the hiring of some new staff to the Thunderbird team. Which will put us at as many as 14 full-time members on our staff. This opens up a world of possibilities for what we are able to accomplish, some of those goals I will detail now. Our hires are already addressing technical debt and doing a fair bit of plumbing when it comes to Thunderbird’s codebase. Our new hires will also be addressing UI-slowness and general performance issues across the application. This is an area where I think we will see some of the best improvements in Thunderbird for 2019, as we look into methods for testing and measuring slowness – and then put our engineers on architecting solutions to these pain points. Beyond that, we will be looking into leveraging new, faster technologies in rewriting parts of Thunderbird as well as working toward a multi-process Thunderbird. We have received considerable feedback asking for UX/UI improvements and, as teased above, we will work on this in 2019. With the addition of new developers we will see some focus on improving the experience for our users across the board in Thunderbird. For instance, one area of useability that we are planning on addresssing in 2019 is integration improvements in various areas. One of those in better GMail support, as one of the biggest Email providers it makes sense to focus some resources on this area. 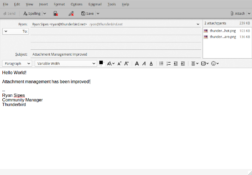 We are looking at addressing GMail label support and ensuring that other features specific to the GMail experience translate well into Thunderbird. We are looking at improving notifications in Thunderbird, by better integrating with each operating system’s built-in notification system. By working on this feature Thunderbird will feel more “native” on each desktop and will make managing notifications from the app easier. The UX/UI around encryption and settings will get an overhaul in the coming year, whether or not all this work makes it into the next release is an open question – but as we grow our team this will be a focus. It is our hope to make encrypting Email and ensuring your private communication easier in upcoming releases, we’ve even hired an engineer who will be focused primarily on security and privacy. Beyond that, Thunderbird can do a lot so we’ll be looking into improving the experience around settings so that it is easier to find and manage what you’re looking for. There are a still a few things to work out for a 2019 roadmap. 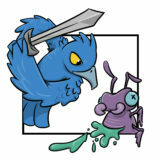 But if you’d like to see a technical overview of our plans, take a look at this post on the Thunderbird mailing list. If you are excited about the direction that Thunderbird is headed and would like to support the project, please consider becoming a donor to the project. We even have a newsletter that donors receive with news and updates about the project (and awesome Thunderbird art). You can even make a recurring monthly gift to Thunderbird, which is much appreciated. It’s the folks that have given of their time or donated that have made 2018 a success, and it’s your support that makes the future look bright for Thunderbird. Due to lots of news coming out of the Thunderbird project, I’ve decided to combine three different blog posts I was working on into one news update that gives people an idea of what has been happening in the Thunderbird community this month. Enjoy and comment to let me know if you like or dislike this kind of post! Great news! A student has been selected for the Enigmail/Thunderbird Google Summer of Code (GSoC) project. 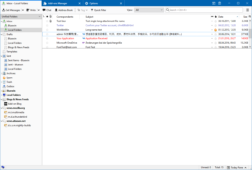 Enigmail, the OpenPGP privacy extension for Thunderbird, submitted its project to GSoC seeking a student to help update user interface elements and assist with other design work. 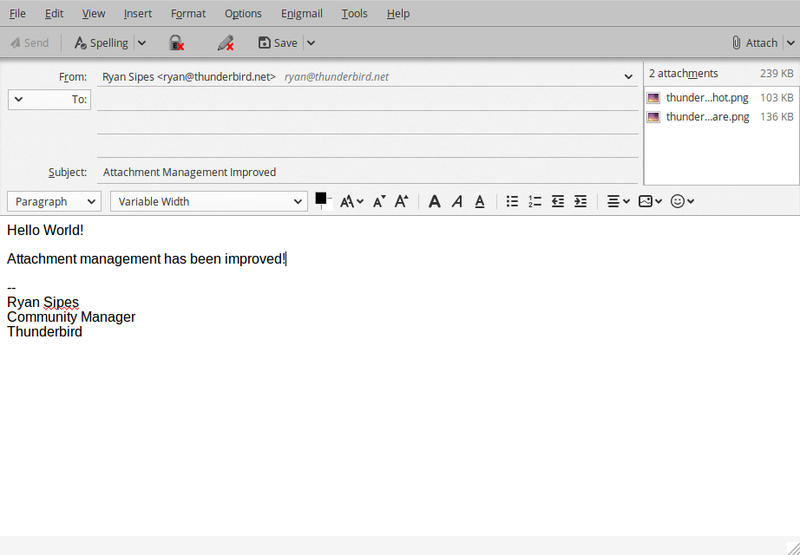 A new version of the Thunderbird 60 Beta is out, with version four beginning to roll out. Users of the Beta are testing what will ultimately be the next Extended Support Release (ESR), which acts as our stable release and is what most of our users see. There are a lot of changes between Thunderbird 52, that last ESR, and this release. Some of these changes include: An updated “Photon” UI (like that seen in Firefox), various updates to Thunder’s “Lightning” calendar, a new “Message from Template” command, and various others. You can find a full list here. As with every Beta, but especially this one given it will become the new stable release, we hope that you will download it and give us feedback on your experience. This blog will try to lay out the new council’s visions and priorities in future posts. We at the Thunderbird project are hiring a Build and Release Engineer. Interested in getting paid to work on Thunderbird? You’ll find information about the role ,as well as how to apply, below! Thunderbird is a email client depended on daily by 25 million people on three platforms: Windows, Mac and Linux (and other *nix). It was developed under the Mozilla Corporation until 2014 when development was handed over to the community. The Mozilla Foundation is now the fiscal home of Thunderbird. The Thunderbird Council, who lead the community effort, has begun hiring contractors through Mozilla in support of this venture and to guarantee that all vital services are provided in a reliable fashion. You will join the team that is leading Thunderbird into a bright future. As a build engineer you will be serving the community, empowering them to make their contributions available to over 25 million people. The Mozilla Thunderbird project is looking to hire a build and release engineer to help maintain Thunderbird. You’ll be expected to work with community volunteers, the Thunderbird Council, and other employees to maintain and improve the Thunderbird build and release process. This is a remote, hourly 6-month contract (with the possibility of continuing). Hours will be up to 40 a week. You will be expected to have excellent written communication skills and coordinate your work over email, IRC, and Bugzilla. Maintain and improve the Thunderbird build system to ensure that both nightly builds and releases are always possible. Finalise the migration if Thunderbird’s continuous integration/deployment (CI/CD) service from Buildbot to TaskCluster. Procure and maintain build infrastructure in tandem with Thunderbird’s infrastructure engineer (who is currently focused on web-based services). Work with both volunteers and employees across the world to fix build issues. Follow improvements made by Mozilla engineers for the Firefox build & release process and implement those for Thunderbird. Collaborate with QA, Security, Localization, and Engineering for coordinated code releases for “release” builds (known as ESR) and beta builds. Have experience using build systems (preferably make). Have experience setting up a continuous integration service. Have solid scripting knowledge (shell, Python). Experience with Buildbot and TaskCluster is highly desirable. Have experience using distributed version control systems (preferably Mercurial, Git would be acceptable). Some development background with Python and C is highly preferred. Experience building and releasing cross-platform applications is a plus. B.S. in Computer Science would be lovely, but real-world experience is preferred. If this position sounds like a good fit for you, please send us your resume with a cover letter to apply@mozillafoundation.org. A cover letter is essential to your application, as it shows us how you envision Thunderbird’s technical future. Tell us about why you’re passionate about Thunderbird and this position. Also include samples of your work as a programmer, either directly or a link. If you contribute to any open source software, or maintain a blog we’d love to hear about it. Please note that while the Thunderbird project is a group of individuals separate from the Mozilla Foundation that works to further the Thunderbird email client, the Mozilla Foundation is the Project’s fiscal home. 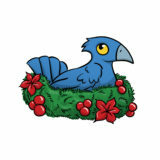 The Thunderbird Council, separate from Mozilla, manages the Project and will direct the software engineer’s work. The successful applicant will be hired as freelancer (independent contractor) through the Mozilla Foundation’s third-party service Upwork. By applying to this job, you are agreeing to have your applications reviewed by Thunderbird contractors and volunteers who are a part of the hiring committee as well as by staff members of the Mozilla Foundation. Mozilla values diversity. We do not discriminate on the basis of race, religion, color, national origin, gender, sexual orientation, age, marital status, veteran status, or disability status. Hello everyone! I’m writing this following a visit to Brussels this past weekend to the Free and Open Source Software conference called FOSDEM. As far as I know it is one of the largest, if not the largest FOSS conference in Europe. It proved to be a great opportunity to discuss Thunderbird with a wide range of contributors, users, and interested developers – and the feedback I received at the event was fantastic (and helpful)! First, some background, the Thunderbird team was stationed in the Mozilla booth, on the second floor of building K. We were next to the Apache Software Foundation and the Kopano Collaborative software booths (the Kopano folks gave us candy with “Mozilla” printed on it – very cool). We had hundreds of people stop by the booth and I got to ask a bunch of them about what they thought of Thunderbird. 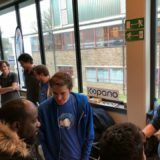 Below are some insights I gained from talking to the FOSDEM attendees. 1. I thought the project was dead. What’s the plan for the future of Thunderbird? This was the number one thing I heard repeatedly throughout the conference. This is not surprising as, while the project has remained active following its split from Mozilla corp, it has not been seen to push the boundaries or made a lot of noise about its own initiatives. We, as the Thunderbird community, should be planning on the future and what that looks like – once we have a concrete roadmap, we should share that with the world to solicit interest and enthusiasm. Currently, we have a lot to talk about regarding the future of Thunderbird. We have made new hires (yours truly included), we are hiring a developer to work on various parts of the project, and we are working with organizations like Monterail in order to get feedback on the interface. With the upcoming Thunderbird Council elections, the Community will get an opportunity to shape the leadership of the project as well. 2. I would like to see a mobile app. Heard this a few times and was surprised out how adamant the people asking were. They pointed out that they were Thunderbird users, but weren’t really into mailing lists. I had it iterated to me a handful of times that Discourse allows you to respond via Email or the website. As a result I have begun working on setting something up. The biggest barrier I see to making a forum a core part of the community effort is getting buy-in from MOST of the contributors to the project currently. So, over the next week I’m going to try and get an idea of who is interested in participating and who is opposed. This was a frequent request asked for in two forms, repeatedly. First, “How can I encrypt my Thunderbird Email?” and second, “Can you make encryption a default feature?” – the frequency with which this was asked indicates that this is important to this segment of our users (open source, technical). To those who are curious as to how to encrypt your mail currently – the answer is you may use the Enigmail extension. In the future, we may be able to make this easier by having it built-in to Thunderbird and making it possible to enable in the settings. But that is a discussion that the community and developers need to explore further. In closing, I heard a great many things beyond those four key points above – but many were thoughts on specific bugs people experienced (you can file bugs here), or just comments on how people used mostly webmail these days. On that second point, I heard that so frequently that I began to wonder what more we could offer as a project that would provide added value to users over what things like GMail, Inbox, and Outlook365 were offering. All-around FOSDEM was a great event, met great people, heard amazing talks, and got to spread the good word of Thunderbird. Would love to hear the community’s ideas on what they think of what I heard, that means you, so please leave a comment below. three platforms: Windows, Mac and Linux (and other *nix). It was developed by the Mozilla Corporation until 2014 when development was handed over to the community. The Mozilla Foundation is now the fiscal home of Thunderbird. The Thunderbird Council, who lead the community effort, has begun hiring contractors through Mozilla in support of this venture and to guarantee that all vital services are provided in a reliable fashion. You will join the team that is leading Thunderbird into a bright future. As a software engineer you will be maintaining and improving the existing Gecko-based Thunderbird but also pave the way for its transition to being based on web technologies. 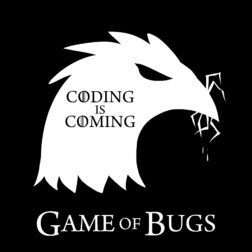 The Thunderbird team works openly using public bug trackers and repositories, providing you with a premier chance to showcase your work to the world. The Thunderbird project is looking to hire software engineers to help maintain Thunderbird. You’ll be expected to work with community volunteers, the Thunderbird Council, and other employees to maintain and improve the Thunderbird product. This is a remote, hourly 6-month contract. Hours will be up to 40 a week. You will be expected to have excellent written communication skills and coordinate your work over email, IRC, and Bugzilla. * Fix bugs and regressions and address technical debt. and releases are always possible. process and implement those for Thunderbird. in the project will of course share their knowledge. * Work with both volunteers and employees across the world to fix issues. add-on author with knowledge of XPCOM, XUL, etc. Mercurial, Git would be acceptable). * Experience developing software cross-platform applications is a plus. The successful applicant will be hired as freelancer (independent contractor) through the Mozilla Foundation’s third-party service Upwork (www.upwork.com). By applying to this job, you are agreeing to have your applications reviewed by Thunderbird contractors and volunteers who are a part of the hiring committee as well as by staff members of the Mozilla Foundation.